Based on the title alone, a listener might be forgiven for expecting some grand Ellingtonian feast of multicultural orchestration. In fact, much of this double-disc live set, recorded at New York University on Easter Sunday 2012, consists of trio, duo and solo performances. 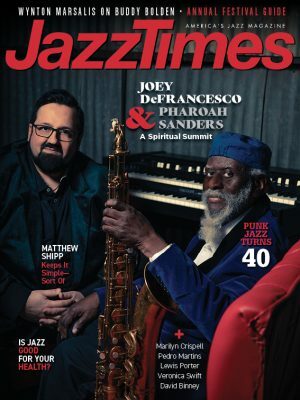 Seventeen players and singers are involved at one point or another—in addition to Randy Weston, who contributes typically sagacious piano work—but the sound of a full ensemble is only heard at the very beginning and end of a nearly two-hour program. A lack of big arrangements certainly doesn’t mean a lack of ambition, however, as this suite incorporates strains from the musics of Egypt, Morocco, Senegal, Mali, Panama, China and the U.S. (Ellington does get a look in via a tribute to his longtime trombonist, “Blues for Tricky Sam,” played with witty aplomb by Robert Trowers.) The point of it all, inspired by Weston’s extensive world travels, is to reinforce the primacy of Africa in creating global culture. That point is made not only in music but also in words, and lots of them: down-to-earth commentary from Weston himself, narration by Wayne Chandler that ranges from the intriguing to the ponderous, and fiery recitation by poet Jayne Cortez, in one of her last public appearances. Unfortunately, the inherent value of what’s being played often seems subordinate to Weston’s didactic aims. There’s plenty here to enjoy, especially when the bandleader engages in thrilling one-on-ones with Moroccan hajhouj player Lhoussine Bouhamidy (“Sidi Bilal”) or bassist Alex Blake (“Nanapa Panama Blues”). 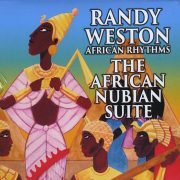 And yet on repeat listens, too much of The African Nubian Suite feels easily skippable, adding up to a whole that’s less than the sum of its many parts.